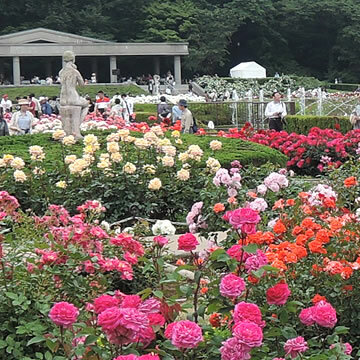 The Jindai Botanical Gardens (神代植物公園) is one of Tokyo Metropolitan Parks located in Chofu city. The gardens have 5200 roses in 400 different varieties, blooming in spring and autumn. The Jindai Botanical Gardens is next to Jindaiji temple, another tourist attraction in Chofu, famous for Soba noodle restaurants in the front approach.